Legends of Tomorrow Season 3 Episode 2: The LoT returned on October 10 and it was quite exciting to watch the premiere. Fans missed them a lot. Here, we have the 3×2 promo for the show and it is titled Freakshow. Billy Zane is the guest star and will portray P.T. Barnum. We would get to see some circus and a giant tiger. The Legends will be on their mission to fix the anachronisms in the world which they created by interacting with their old selves. It’s another case that they didn’t have any option. Now, they want to prove that they can fix the time and Time Bureau wrong. They want to clean up the mistakes they did in the past. This is going to be some fun. Barnum will try to capture Nate and Ray as he thinks that they would be perfect for his show/zoo and will please the crowd. He is a sort of guy who likes to do such things to grow his business/circus. Nate is a good option as the 1870s will definitely like to see a person who can turn into steel. It would be a big hit. Check: The flash season 3 episode 2. Here’s the official synopsis for LoT S3E2. The Legends find themselves in 1870 to fix the anachronism which happens to be at P.T. Barnum’s fledgling circus. However, Nate (Nick Zano) and Ray (Brandon Routh) accidentally free a saber-toothed tiger, creating a bigger problem. Meanwhile, P.T. 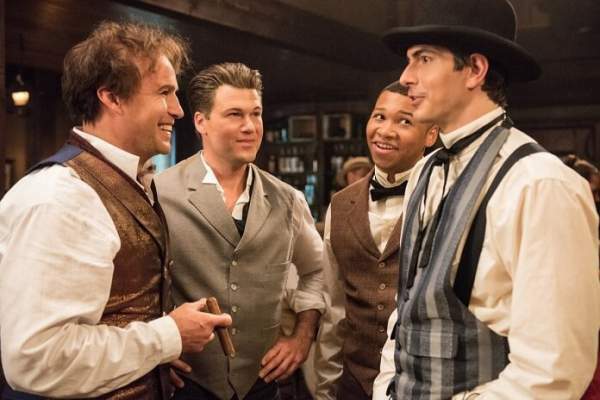 Barnum (guest star Billy Zane) is on the hunt to capture Nate and Ray to make his show even more exciting for the crowd.